The same benefits of our adjustable #1005 with the option of using the patented adjustable slide to fit any size from 15 to 16.5 inches. A big case for less weight. Built using a layered plywood case construction and newly redesigned to maximize the arrow styled case shape, the #1028 adjustable viola case is covered with a durable black nylon canvas zippered cover and outside music pocket. Viola width up to 260 mm wide. 8 pounds. 2006 Adjustable "Student" Wood Shell. Velour Interior. Plywood shell with waterproof black canvas cover. Velour interior includes four bowholders, one interior accessory pocket, hygrometer, and instrument blanket. Also includes shoulder rest clip. Fits violas from 14 to 17 inches, up to 260 mm wide. 7 pounds. 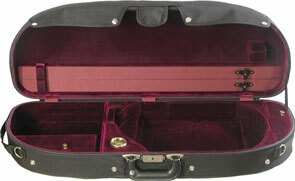 This half moon shaped viola case is the newest shape to be added to our line of viola cases. Built with the same five layered plywood case construction found in our traditional oblong shape and covered with a durable black nylon canvas zippered cover and outside music pocket, the #1048 brings a new, lighter and trimmer case look. 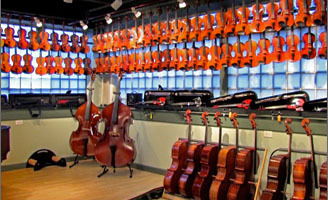 Fits violas from 15 to 16-1/2 inches and up to 260 mm wide. 8 pounds. 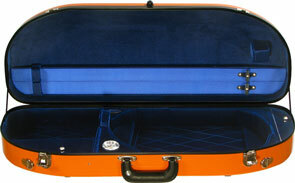 This adjustable oblong viola case offers all of the benefits you would expect in a professional level case, with the same assurance that you have come to expect from Bobelock Cases: durability, protection and style with plenty of choices to satisfy everyone. 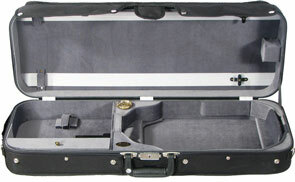 Built using a five layered plywood case construction in the traditional oblong shape, the #1005 adjustable viola case is covered with a durable black nylon canvas zippered cover and outside music pocket. 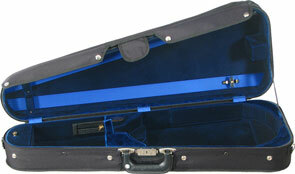 Fits violas from 15 to 17, up to 260 mm wide. 9 lbs. 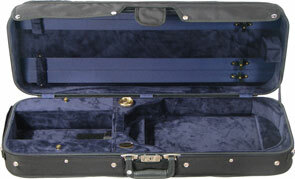 This half moon shaped fiberglass viola case is the newest shape to be added to our line of viola cases. This is a totally new style for the traditional oblong case in glossy, colorful and strong fiberglass with a luxurious velvet interior. The 1048 fiberglass features a large accessory pocket, hygrometer, tough flip latches and a weatherproof valance. 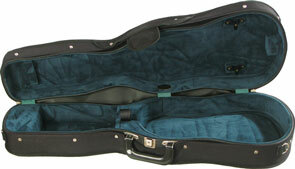 A unique padded slipcover comes with each case for traveling and includes a large music pocket. 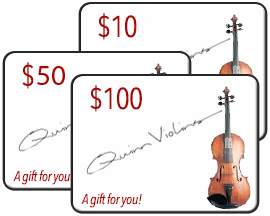 Fits violas from 15 to 16-1/2 inches and up to 260 mm wide. 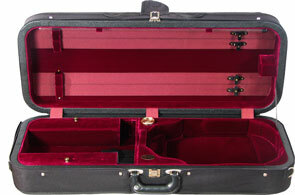 Just like the standard oblong suspension adjustable Viola case, but can accomodate very large instruments.